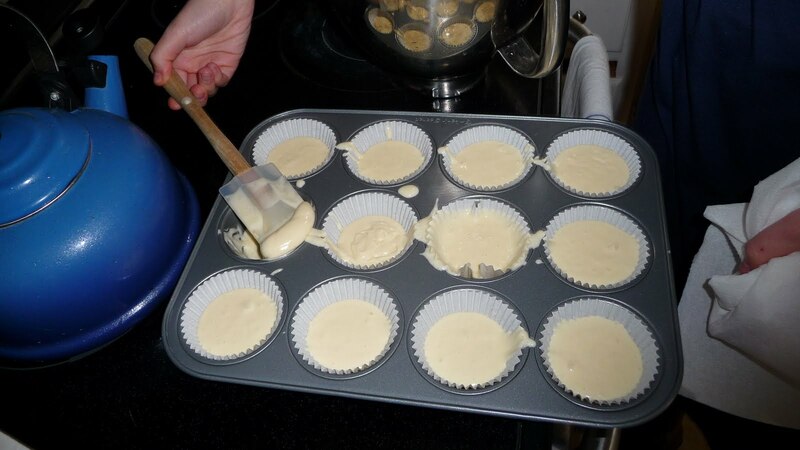 As you can see, the pouring of the batter was more complicated than I had imagined. They look terrible now, but after they were baked, they looked pretty normal. My husband did a good job of polishing off the ones that weren’t perfect. These white cupcakes were going to have blue frosting (Colts) and I made chocolate cupcakes with what I had hoped would be gold icing (Saints). 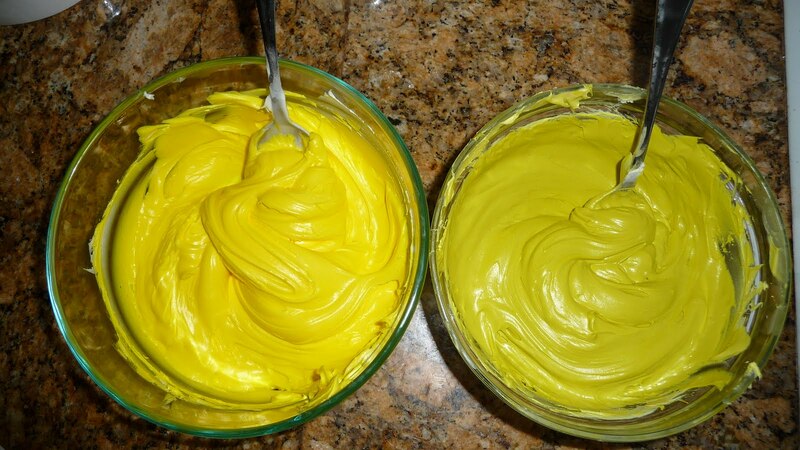 The first icing mix is on the right. Baby poo green anyone? It actually doesn’t look so bad in this picture, but in person it reminded me of what’s inside a diaper. The icing of the left was far too neon, but at that point my husband had already gone back to the store to get me more icing after the baby poo incident, so I just accepted that the cupcakes would be neon and went on with my life. After watching the game Sunday, I realized a pale yellow would have looked much better than what I came up with, but they tasted yummy, so who really cares, right? A million cupcakes later and we had way too many, but we brought them all over anyway, thinking there might be a lot of people there. 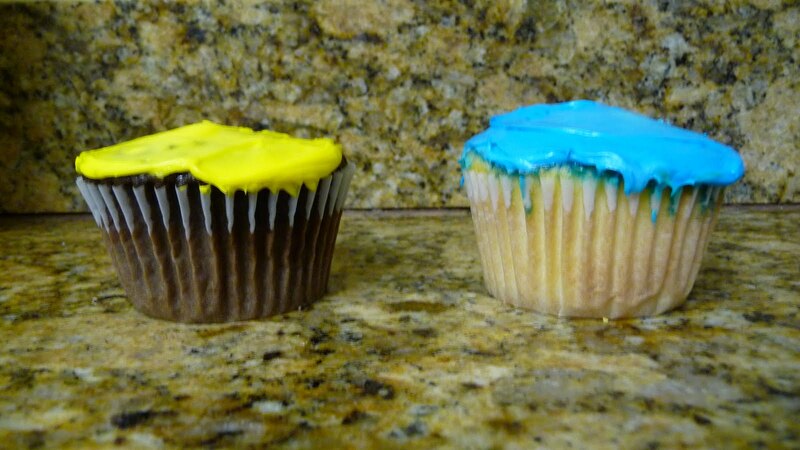 I think that by the time we left after the super bowl, about 5 cupcakes had been eaten. 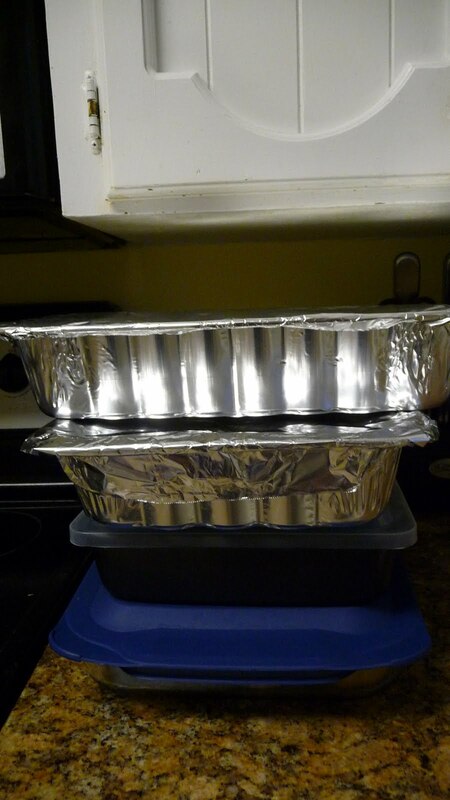 We left the two silver tins for our friends to enjoy (or dump) and my husband took the other 24 to work. They were happily devoured in a couple of hours. ← Football Season is O V E R ! Yes, I tried to make a vegan pumpkin cheesecake and it ended horribly. I trecked to Whole Foods, bought a bunch of ingredients, came home, and perfectly measured everything in the bowl, and it called to blend all the ingredients with a mixer. I didn't have my mixer yet, so I put everything in the blender. All went well, and the last step was to drop it in the pan, but when I went to pick up the blender, I turned it off the base instead of lifting it up, and I accidentally unscrewed the blender from the base and my ingredients went everywhere. I was so mad, I never ended up having that vegan cheesecake. It was sad.